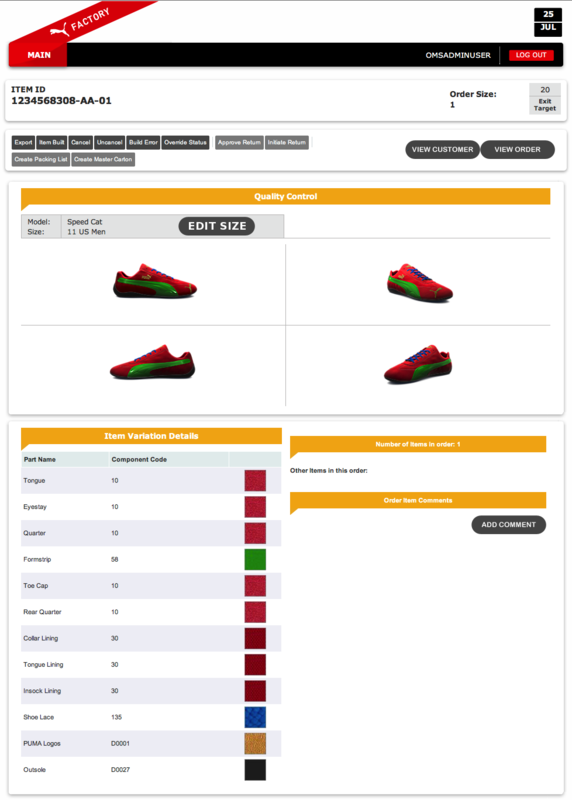 When PUMA came to KBS+, they were looking for a new direction for their custom shoe configurator. At the time it was called PUMA Mongolian BBQ, and was a Flash based site built around a asian restaurant metaphor. They were seeing performance issues, and their retail team found it very cumbersome to update. They asked us to rebuild the platform, and redesign the front end experience to align with a planned rebranding. We approached the redesigning platform first, by mapping the order flow system, and then also sending a researcher to China to document how the orders were used on the factory line. We found variety of pain points for the system users that made shoe manufacturing several times more confusing than it needed to be. 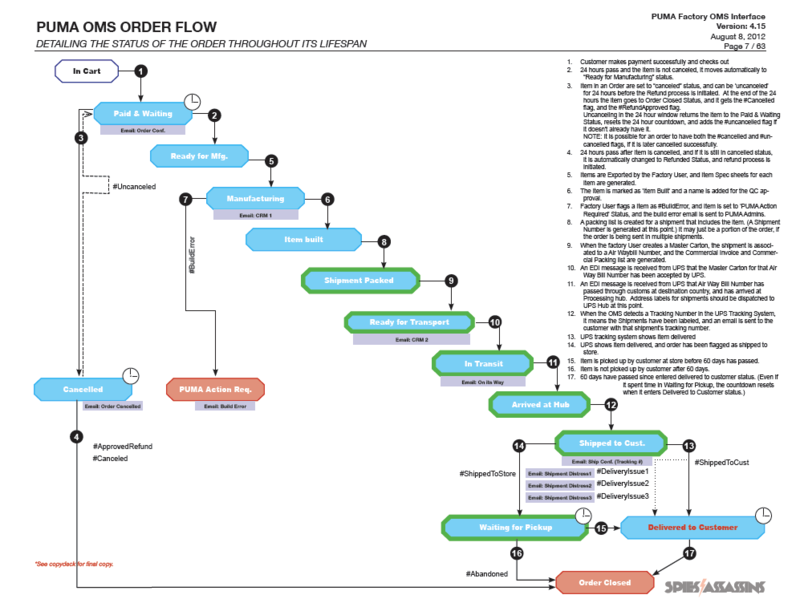 I created a new order flow that best aligned with factory process, as well as taking advantage of new APIs provided by the shipping partner. 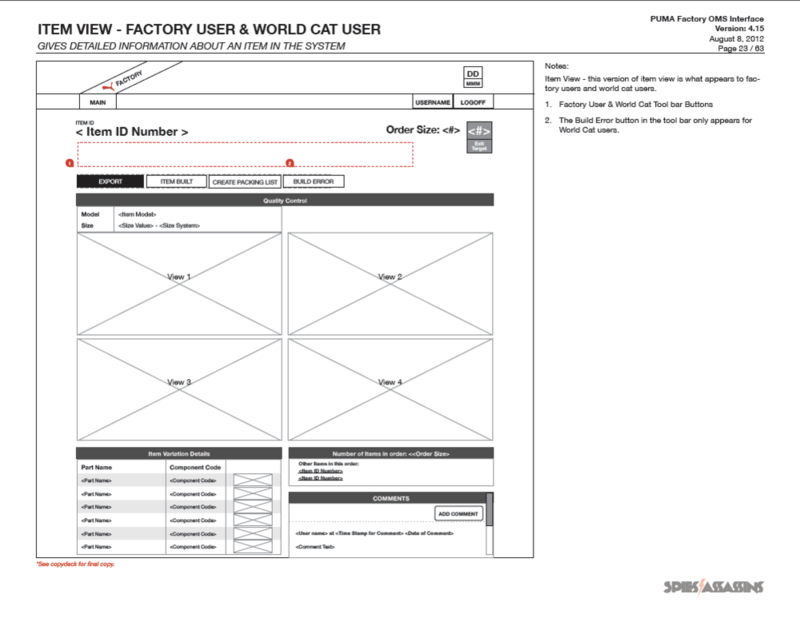 I then designed off the various dashboard views for the different user types, so that factory administrators had a clear view of any production issues, but also factory workers saw a version that only focused on what they needed for the task at hand. We tested the whole process by taking over a conference room and bringing in outsiders to play the different worker stations, (based on photos taken at the factory) and showed them iterations of the dashboard views to see how easily they could find the information they needed. Following the redesigned platform, the other piece was the consumer experience. Looking at the world of sneakerheads and PUMA’s enthusiasts online, the inspiration was that shoe creation was as much a form of expression to their peers as it was a retail activity. So the entire experience was created to be fun, fast, and extremely shareable. Early on I decided to get rid of the linear process, and make every state of the shoe configurator be a valid shoe design that could be shared by grabbing the URL. This was to encourage remixing, and sharing amongst a circle of friends online.